"Little Wings is Kyle [Field] and over the last bunch of years I've grown to truly admire the way he walks in the world. He writes songs that I can't even begin to unravel and so after all sorts of attempts, now I just let myself get tangled in them properly. He's got a circuitous way with words that draws full circles while drawing you down pencily whirlpools, he connects and disassembleS sentences with abandon but is right next to you, staring you down with one eye painted into a black eye with watercolours. I've worn out his albums and wondered where it all comes from, and this double album will be double trouble. I think Kyle is the bomb. Most other people I think are the bomb also have discovered him and champion him as their own secret favourite, but for his sake I hope we all will soon need to share him more." - Leslie Feist What does it mean to be a "Musician's musician"? To me, it means that your art is so original and amazing that people who've not studied the art form you're working find it difficult to penetrate the depths of what you're creating. Kyle Field, the singular vision behind the music and art of Little Wings, has been always been a musician's musician. From his early days in his first band with M. Ward when he was still going by Matt, to his time on K Records influencing the likes of Phil Elvrum when he was the Microphones and Khaela Marecich from the Blow, to Feist's recent tribute in naming her film, Look At What The Light Did Now, after that wonderful Little Wings song, Kyle has always been an artist who inspires others to greatness. With LAST, Kyle Field's life of surfing, visual arts and music have culminated into an album that should see his music celebrated amongst the echelon of those who've championed his talents since day one; a musician's musician no longer. Since the release of Black Grass in 2010, Kyle Field has spent a lot of time traveling. Stints focusing on his visual art took him to gallery openings in San Francisco, Tokyo and Paris. Musically, Little Wings toured twice through Alaska, twice through Europe, once to Japan tour, and his gallery opening in Paris culminated with an incredible live performance. Through out all of Kyle's traveling, he found himself regaining his Gypsy fearlessness, his spark…Saturn returns returned! It was around this time of inspiration that he came to meet Sea Of Bees and her producer, John Baccigaluppi, at a festival in Big Sur. After hearing Jules from Sea Of Bees sing, he asked her if she wanted to do a song on his next album and after that initial meeting, Field travelled to The Hangar Studios in Sacramento, CA to begin the recordings for what would become LAST. Towards the completion of the recording, he fell into a deep depression and despite his love of the resulting songs, he couldn't bear to listen to them anymore. Kyle gave up and took the recordings back to his temporary home in Outer Sunset San Francisco where he went through several defeats attempting to finish the album. Amidst the fog, black mold, wind and surf put the sonic touches to the previous and breathed life into eight new companion songs that would become LAST. Upon its completion, he vowed to spend not another foggy summer on the bay and left last June to Southern California to reconnect with family, friends, fall in love, spend more time in the ocean and potentially jump start his acting career. 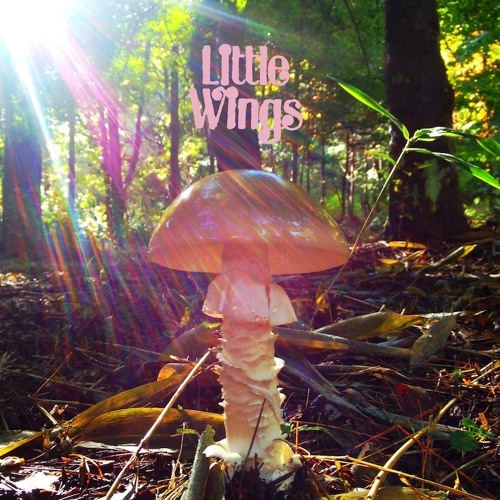 In recording LAST in two different locations and two different states of mental health, he wrote a Little Wings album that has split personalities, wherein each song has a counterpart of lightness or darkness. The songs in the first half of the bum roll in dark and heavy like SF fog with Field musing on the loss of hope, broken promises, and questions without answers. "Homelessship," is our first crack of sunlight. An anthem to the iconically Californian symbol of freedom, the truck campershell, the song celebrates the joys of risking it on the open road and hoping the forces of nature cooperate. "You Know Who" sends a little dark Gospel our way and, as listeners, we're left with more questions than answers. An ode to Rimbaud, "Country Skull" kicks off the second half of the album with Kyle's own blend of dirty south and raw naturescapes in his vocal delivery. "Neptune's Next" follows with a homegrown tribute to Don Henley's "Boys Of Summer" with complex reportings on what it's like to be sixteen on the coast of California. "Doom Room" is the latter half's final hurrah of bleakness juxtaposing the dark side of the "Neptune's Next" gleam. The next five songs roll in like the tide as Field lets the heavy things go and begins to experience euphoria. By the time "Sandy Babe" comes round, we get an ode to the real star of the show: the golden west! A celebration of romantic summer sun love, we get a "Good Vibrations" for 2013. LAST almost ends on that high note as we watch Field slowly leaving drifting out with the tide. But the folks still sticking around for the final track, "Wild Stairs/How Deep is the Sea? ", with it's lonely lyrics, we're left with the unsettling feeling he's drifting out there rudderless and that we may never hear from Little Wings again. LAST may or may not be, indeed, the last we hear from Field but I will tell you this, LAST is the way Little Wings was meant to be heard, his vision fully formed. Some musician's just take a more circuitous path to get the sound they were searching for but then again, maybe it's us, the listeners, who've had a lot to learn before we got there at last? LAST is out on Kyle's own imprint, Rad (distributed by Marriage Records in Portland, OR), on February 5th, 2013 on double LP with a giant, illustrated poster. Users who like Little Wings "LAST"
Users who reposted Little Wings "LAST"